This is our last Friday post in the series of weekly giveaways sponsored by DecalGirl.com. The winner of prize is Foneb with the following comment “Well same as before: since I’m not…” Our congratulation to him (her). So you have the last opportunity to try to get a new case to your Kindle Fire for free. You need only to leave a comment what you think about Kindle Fire on our site to be in the game. In the next Friday we will announce and send a personal message on email with redemption code in case you win. Remember, it is your last chance. This is my last post for Blogkindle, and our skin giveaway promotion is coming to an end. I have enjoyed sharing some information about DecalGirl and our products with readers, and I hope you have enjoyed my posts. I’d like to finish up with a re-cap of some of the things I have shared, and tell you a little more about where DecalGirl is going from here. DecalGirl has been around since 2003, and has grown from a small, two person operation to a business that employs over 30 people. 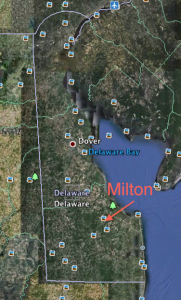 We are located near the small town of Milton in southern Delaware. In this time of economic hardship for many, DecalGirl has bucked the trend of many businesses and is expanding and growing, putting more people to work and contributing to the economy. If you have been following this series of posts for the past couple of months, you know that DecalGirl stays on the cutting edge when it comes to producing skins for new products. So we were ready to roll with skins for the new Kindle Fire and Kindle Touch, and in many cases customers were able to get their new reader and their new skins delivered at pretty close to the same time. You will find new art and skins for more devices offered almost every week on our site. We love to hear from you, too! Tell us how we’re doing. There’s contact information on the website, or you can check us out on Facebook (www.Facebook.com/decalgirl) or Twitter (www.twitter.com/decalgirl). As I mentioned last week, our big push for this year and next is licensing. We have licensing deals with the U.S. Army, Mossy Oak, and Moto GP in place, with more companies to come in the near future. So in addition to our large variety of custom artwork, your devices will soon be able to sport skins with logos and images from a number of popular products. We’re also expanding our galleries with the work of more artists. We have added over eight new artists in just the last few months. 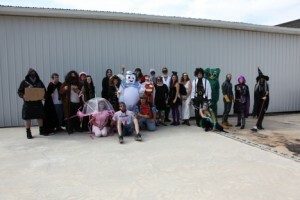 On a personal note, here is why I love the fact that I work at DecalGirl. It is a time of globalization, and I know that the internet is accessible to people all over the world. It’s great that businesses can market to and connect with a worldwide audience. But I believe that no matter where your business is located, and no matter who you do business with, you have a responsibility to support your local community. This is what DecalGirl does. Our products are 100% made on site in the United States, from American made materials. 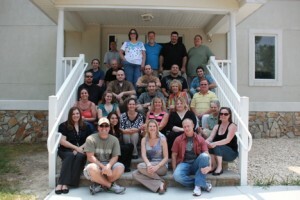 As I have said, DecalGirl employs over 30 people. We do not outsource. When you call customer service, you speak to someone who is here on site to help you. If you have a concern or problem when you call, if it cannot be resolved immediately, it will be resolved in a very short amount of time because we don’t have to wait to hear from a customer service representative who is in another location. In addition, DecalGirl contributes to the well being of our state and our country by the taxes paid by our business and the income taxes paid by employees. At a time when many businesses seem to be looking for the cheapest labor, and the cheapest materials, DecalGirl has made a commitment to producing a first class product from top quality materials manufactured by top quality American labor. Thank you to everyone who has read these posts, visited our site, or participated in the skin giveaway contest. We hope you are enjoying your DecalGirl skins. From all of us at DecalGirl to all Blogkindle readers, wherever you are, best wishes for a peaceful holiday season, and a prosperous 2012! This is our traditional (8-th) Friday post in the series of weekly giveaways sponsored by DecalGirl.com. The winner of prize is Marty with the following comment “So far I am pleased with my kindle fire. My first kindle…” Our congratulation to him (her). You need only to leave a comment what you think about Kindle Fire on our site to be in the game. In the next Friday we will announce and send a personal message on email with redemption code in case you win. It is good chance to get a new case to your new Kindle Fire. Do not lose it. Getting ready to hit the stores for Black Friday? Have you made your list and checked it at least a dozen times? Do you have extra coffee and energy drinks in the pantry so you can stay wide awake during the midnight sales? Or would you rather avoid the whole thing altogether? Well, it’s important to patronize your local stores, especially the small businesses, but there are some things it is better to shop for online, and for some you simply have no choice. Sure, you can stand in line for hours at Target or Best Buy, or Walmart to get the new Kindles for yourself and all your friends and family, but do you really want to do that? Really?? If you are reading this, there’s a good chance that you will be joining millions who will be spending, in all likelihood, over $1 billion online on Cyber Monday. So get a good night’s sleep on Thursday night…perfect after eating all of that turkey…and laugh at everybody who is waiting to be trampled by the rush at the midnight sale. Rest your fingers, get a manicure, and then hit the keyboard for some serious online shopping. Once you have stocked up on new devices of all kinds (but especially those new Kindles!) you may want to look for some stocking stuffers. DecalGirl would be happy to help you with that! Just click on over and shop to your heart’s content! The best thing about internet shopping is that you can do it on your schedule; websites are always open. And of course we have prepared for the season with a bunch of great new designs that will put you in the holiday spirit. Here are just a few of them. Click on any of the images to take a closer look. Heidi Dobrott’s rendering of the “jolly old elf” himself is very modern and traditional at the same time. Heidi hails from Southern California where she lives with her husband and dog. She is a graduate of UCLA with a degree in design and graphic arts. She has produced designs that can be seen on everything from paper goods to dinnerware to textiles (and of course, skins!). “Santa” is only one of several new designs by Heidi offered at DecalGirl for the holiday season. Kate McRostie, whom we introduced you to a couple of weeks back, likes to work with traditional subjects in a traditional manner. So if you are a traditional sort of person, you might enjoy Kate’s work such as “Christmas Wonderland” shown here. This is our traditional (7-th) Friday post in the series of weekly giveaways sponsored by DecalGirl.com. The winner of prize is @chipvanalstyne. Our congratulation to him (her). We decided to change a little bit the rules of the game. Now they are more easy. You need only to leave a comment what you think about Kindle Fire on our site to be in the game. In the next Friday we will announce and send a personal message on email with redemption code in case you win. It is good chance to get a new case to your new Kindle Fire. Do not lose it. Usually when a fire is out, things cool down. But if you have been keeping up with the news, you know that Amazon’s sales figures for the Kindle Fire suggest that things are really heating up. According to CNN Money, sales of the Fire are estimated to reach 5 million by the end of this year. DecalGirl has prepared for the Fire (and the Kindle Touch) by offering a pre-sale on skins for those devices for the past couple of weeks. Now that the Fire is out, DecalGirl skins are ready to roll so that you can have your Fire and skins for it, too. In this week’s post I am going to shut my mouth, so to speak, and just let you see some of our currently most popular skins for the Kindle Fire. As usual, clicking on any of the images in the post will take you to the page featuring that design at DecalGirl.com, so you can take a closer look. First up, we have a perfect design to cover a Fire: “Flower Of Fire” by DecalGirl Collective. Next is a design called “Fascinating Surprise” by Kate Knight. The mix of colors on this one make it appear dark and yet bright at the same time. The third design fits the upcoming season: “Winter Sparkle” by Madart. And the final design for now is “Sacred Honu” by Al McWhite. Those five designs are among 33 skin designs for the Kindle Fire that are currently ready to ship, but remember that you are not limited to those designs for your new Fire skin. At DecalGirl you can shop by design and choose from any of over 2000 works of art for your skin. Happy Thanksgiving to all American readers! Settle in next to the fireplace with a good book on your Kindle, and I’ll have more to share next week. I have to start with sad news our the 6-th post in the series of weekly giveaways sponsored by DecalGirl.com here on BlogKindle – There is no winner at all. Just imagine – you were out of the only one click to get the prize – a free Kindle skin of your choice. Just to remember for our regular readers and new visitors: to be in the game you need to do the following: click on the twitter button on the left to retweet this post and follow @BlogKindle so that I can send you a personal message on twitter with redemption code in case you win. A winner will be randomly chosen next Friday and announced in the next post. Be with us on twitter. Now, back to the artists…. Dan Morris grew up in Carmel, New York. He began studying art at age 11 under the tutelage of German sculptor Paul Rudin. Dan continued his study of art in high school and later attended Temple University in Philadelphia, where he studied architecture. Dan’s art is featured on fabrics, ceramics, greeting cards, calendars, and other products. He has created designs for rock artists such as Blues Traveler, The Grateful Dead, The Band, and Bob Marley. Among his work that is available at DecalGirl you will find animals, beach and seashore images, patriotic works, and 60’s inspired images reminiscent of pop art icon Peter Max. Since this is being posted on Veterans’ Day I have chosen “Air Force Jets” to share here as an example of Dan’s work. Speaking of 60’s inspired pop art, our next featured artist is the California surf culture inspired Chuck Trunks. Chuck is originally from Philadelphia, where he studied fine art and art appreciation at the Barnes Foundation. He later moved to Raleigh, North Carolina, receiving a B.S. in biochemistry and doing graduate work in molecular biology at North Carolina State University. From there he moved to California where he spent most of his professional career at Amgen. After 20 years in the biotech industry, Chuck left his job to concentrate on producing art and expanding his portfolio. Bright colors and busy, movement filled themes are the hallmarks of much of his work. “Sunset Break” is one of the newest of Chuck’s designs available on DecalGirl skins. “Lollipop Labs” is the brand name of Shannon Rene “Shaz” Justice. Shannon’s art career began early in her life when she won three art contests in elementary school. She became a full time designer and illustrator in 2007 after a 10 year break from the art world. She was chosen by Sony to help launch their “Sony/ATV Lyrical Inspirations Official Collection.” For this she created illustrations inspired by five different songs, each by a famous Sony recording artist. Shannon is working on a Gothic children’s book series, “The Ghoulie Scouts.” She lists Tim Burton as one of her influences, and I think you can probably see that influence in her work “Christmas Box” featured here. Lani Imre is one of the newest artists in the DecalGirl collection. She has exhibited in many cities in Canada, Mexico, and the United States. She has a diploma from the Kootenay School of the Arts in Nelson, British Columbia and a Bachelor of Fine Arts from the Nova Scotia School of Art and Design in Halifax. In addition she has studied at Concordia University in Montreal and completed a semester of independent study in Berkeley, California. Lani’s work focuses on large scale mixed media paintings, depicting a variety of female characters. “Two Betties” is a great example of Lani’s art. This is the 5-th post in the series of weekly giveaways sponsored by DecalGirl.com here on BlogKindle. According to our tradition let’s start this post with the winner name. Our congratulation to @Sweepgurl. I’ve sent the redemption code via Twitter. Just to remember for our regular readers and new visitors: to be in the game you need to do the following: click on the twitter button on the left to retweet this post and follow @BlogKindle so that I can send you a personal message on twitter with redemption code in case you win. A winner will be randomly chosen next Friday and announced in the next post. Be with us on twitter. Over the past few weeks I have shared with you some of the “nuts and bolts” of the DecalGirl operation: The origin and history of the company, how to navigate the website, and how to find resources to help you install DecalGirl skins. I also showed you some of our seasonal art for Halloween. For the next two or three weeks I would like to introduce you to some of the artists who produce the magnificent works that we put on DecalGirl skins. We couldn’t do it without them! Al McWhite has been licensing designs to DecalGirl since 2009. The ocean has always been one of his big sources of inspiration. “I had no plans of being an artist,” he says. “I thought I was going to be an ocean exploring marine biologist.” It wasn’t until his high school art teacher recognized and helped him develop his talent that he realized that his career path lay in the arts. After high school he received a scholarship to the Savannah College of Art and Design in Savannah Georgia, where he double majored in graphic design and illustration. Al has since combined his passion for the ocean with his artistic abilities. You will see that beach, surf, and aquatic elements are major themes in most of his work. “Sunset Flamingo,” shown here is one of over 40 designs by Al offered on DecalGirl skins. Jackie Friesth is a self-taught watercolor artist living in Colorado. She holds a bachelor of arts degree from Augustana College in Sioux Falls, South Dakota. When she was in high school she took as many art classes as she could. She helped paint murals on the school walls, and even painted one on her bedroom wall. Living in Colorado provides her with a great deal of inspiration for her paintings, which typically feature natural subjects and landscapes. “Grandmother’s Rose” is one of 14 of Jackie’s designs currently available at DecalGirl. Julie Borden is a DecalGirl “local” of sorts, as she operates her gallery out of nearby Rehoboth Beach, also known as “The Nation’s Summer Capital” thanks to all of the visitors from Washington D.C. who arrive every summer. Julie earned a bachelor of fine arts degree from the prestigious Rochester Institute of Technology in 1987. To date she has produced over 700 commissioned works of art. Julie’s art spans a wide variety of styles and subject matter. Music is a popular theme with her, and “Music Madness” shown here is a great example of her work. There are currently 30 of her designs at DecalGirl.com. Vlad Gerasimov lives in Irkutsk, Russia. He plays piano and guitar and dreamed of being a rock star. In 1998 he started to design user interfaces for websites and software applications, and when he had some free time he created desktop wallpapers. Over time his hobby has grown into a full-fledged business, and today he works from home full time creating wallpapers for computers and mobile devices. Vlad creates whimsical, brightly colored art with a variety of themes. “Cheshire Kitten” is just one of over 40 designs from Vlad Studio that you will find at DecalGirl. That’s a glimpse of a few of our artists. We have designs from over 80 artists from all over the world, so unfortunately we won’t be able to showcase all of them here, but you can visit their galleries and read their bios at DecalGirl.com. We’ll look at four more of them in this space next week. This is the 4-th post in the series of weekly giveaways sponsored by DecalGirl.com here on BlogKindle. Here is the answer for the question – who is the lucky man? His tweeter name is @LGM777. I’ve sent the redemption code via Twitter. To be in the game you need to do the following: click on the twitter button on the left to retweet this post and follow @BlogKindle so that I can send you a personal message on twitter with redemption code in case you win. A winner will be randomly chosen next Friday and announced in the next post. A tip – tweet more and you will have more chances. I hope everyone’s Halloween spirit was stimulated by last week’s post! We’re definitely in the mood for some trick or treating here at DecalGirl. 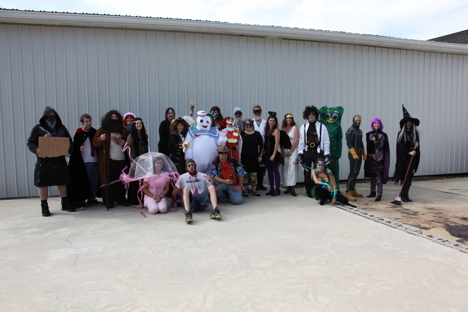 As I write this we are preparing for our annual Halloween costume contest. Right now there’s Edward Scissorhands, a Hula girl, Gumby, the Stay Puft Marshmallow Man, Raggedy Ann, a mad scientist, a jellyfish, and lots of other interesting characters roaming our halls! But now on to something new…. DecalGirl skins are amazingly easy to install, and when you decide you are ready to change your look with a new one, they come off clean as a whistle, with no residue left behind. People occasionally ask “Are they reusable?” The answer to that is “no” for a couple of reasons. First, most anything made from vinyl is going to stretch a bit when it is removed from something, especially if it has adhesive on it and you have to peel it off. Second, our proprietary adhesive is designed to come off of your device with no residue, but, like most adhesives, it will not be as sticky and it will not adhere in the same way a second time. Having said that, you should know that our adhesive does give you a “do over” if you try to place your skin and you don’t get it quite right the first time. If things don’t line up quite right for you, you do have a short time window to carefully remove the skin, line it up, and try again. There are also a lot of others made by third parties. While most of them are pretty good and you’ll hear a lot of positive comments about DecalGirl skins, when it comes to installation advice you should probably stick to the ones that are officially from DecalGirl. Just a quick note in closing today… We are already getting questions about skins for the new Kindle Fire. We would like everyone to know that we are planning to have skins available for it within hours of its release. Scattered through this post are some of our more recent skin offerings for Kindles. All of these, as well as any other design you find on our site will be available for the Fire. Talk to you next week! “Halloween is coming, and soon the doorbells will be humming….” Sorry, I slipped back into my former career as a music teacher for a second. As you probably know, DecalGirl.com offers skins for almost every taste, and designs featuring fantasy, macabre, or Gothic art are no exception. Halloween is getting very close, and in honor of the dentist’s favorite holiday I am going to show everyone a few “creepy crawly” designs from DecalGirl.com and tell you a little about the artists who created them. Before we get started, just remember that you will not find all of these designs on the Kindle skins pages at DecalGirl.com. If you read last week’s post you will recall that you can shop by design and select any of our available designs for any device. If something you see here strikes your fancy, click on the image and you will be taken to the page for that design at DecalGirl.com. From there it’s a simple matter to select your device from the drop down menus, and your options for gloss or matte finish will appear along with the price. Make your selections, add the skin to your cart and you’re good to go!The first design is called “Hallucination” by Ross Farrell Design. The skull is a persistent theme for Ross, as you can see if you visit his artist page at DecalGirl.com. Ross uses media such as sculpture, oil, and acrylics to produce much of his work. He believes that “the single most important thing about art is interacting with it.” Ross currently has 20 designs available at DecalGirl.com.Next we have “Angel vs. Demon” by James Ryman. DecalGirl.com currently offers 13 designs by James. His focus is on fantasy art, and his work features images such as fantastic creatures, skeleton musicians reminiscent of Bob Marley and Jimi Hendrix, and supernatural femmes fatales. The third design is called “AFS-1” by Robert Steven Connett. Robert offers fantastic looking creatures in science fiction style settings. He cites as inspiration the work of H.R. Giger, Chris Mars, and Heironymous Bosch. Those familiar with the work of H.R. Giger will probably see some of his influence in Robert’s work. There are currently 11 of Robert’s designs available at DecalGirl.com. For some seasonal art in a lighter vein, there’s “Succubus” by Chrissy Clark. Chrissy works in digital media, producing anime/manga style drawings that usually feature innocent looking females in a variety of settings from fairy tale to sci-fi. DecalGirl.com currently offers 29 of Chrissy’s designs. This is just a small sample of some of the macabre and fantastic art available on skins for Kindle and other devices at DecalGirl.com. They have been greatly reduced in size for this post due to limitations on file size, but you can click on any of the images here to see them full size on our site.Have a great week, everyone! This is the second post in a series of weekly giveaways sponsored by DecalGirl.com here on BlogKindle. I’ll start it by announcing the winner of last weeks giveaway: @nbrown1981. I’ve sent the redemption code via Twitter. This weeks giveaway works in a very simple way (same as the last one): click on the twitter button on the left to retweet this post and follow @BlogKindle so that I can send you a personal message on twitter with redemption code in case you win. Winner will be randomly chosen next Friday and announced in the next post. Last week only about a dozen people participated in the giveaway so chances of winning were pretty high. This week I would like to start by introducing the DecalGirl website to those who have never been there before, and showing everyone some of the ways to navigate and quickly find what you are looking for. If you click on the images of Kindle 4 skins below (more about them in a bit) you will be taken to a page for that particular design. Let’s take a look at various ways to find what you are looking for from there. You can make a selection from the main menu and the drop down sub-menus at the top of the page. Those will help you navigate to the main pages for each device where you can see all of the stock skins for that device. (Don’t forget, you are not limited to the skins you see on this page. 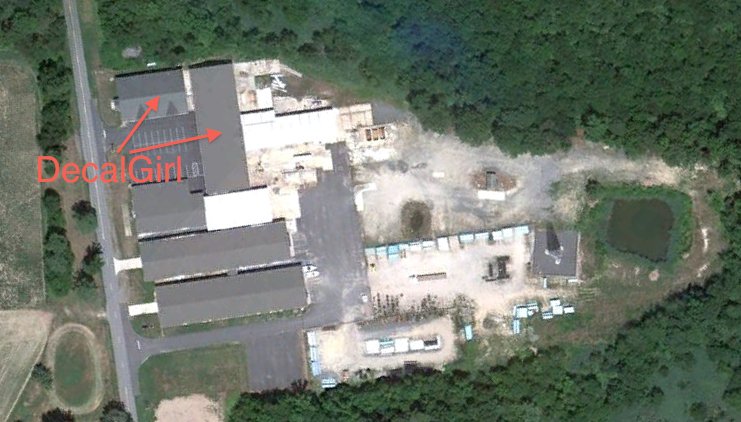 More about that later, too.) There is also a “directory listing” type menu just above the content area of each page that allows you to jump back over multiple levels with one click if you so desire. If you look over the skins on any particular page and you don’t see anything that really tweaks your interest, or if you just want more choices, you can go to the right side of the main menu and click on “More ways to shop.” If you select “Shop by artist” you will be taken to the main artists’ page, where you can select an artist to view his or her gallery. If you select “Shop by design” you will be presented with all our current designs, which can be sorted by “Freshest,” “Best Sellers,” or “Name.” There’s a filter option on the left that lets you filter by artist, color, or style of art. Any design can be put on a skin for any device. When you choose to shop by design or by artist you will be presented with a menu to select the type of device, and then the specific device you would like skinned. After making those selections you will be presented with a choice of gloss or matte finish, you will see the price, and you can add the skin to your cart. We are occasionally asked about custom skins. It’s a little hard to find information about it on the website, so let me make everyone aware: Yes, DecalGirl can do custom skins. If you want a picture of your favorite pet, or your daughter, or whatever on a skin, all you need to do is email [email protected]. We will send you a photoshop template via email. Put your art on that template, send it back to us, and we will create your skin. There is an additional $5 charge for custom skins. You can also request to have color changes made or text added to any of our stock designs. We will soon be streamlining this process by adding an online customizer tool to our website. Now let’s talk about the skins for a bit. We have most recently added skins for the Kindle 4, and you can expect to see skins available for the other new Kindles in the near future. Right now there are 157 skin designs available on the Kindle 4 page, but remember you can shop by design or artist to select any of our more than 2200 skins to cover your Kindle 4. Here are three of our currently most popular designs. Click on any of them to visit the page for that design. The first design is called “Library,” by Vlad Studio. Could there be a more appropriate skin for an ereader than this one? Vlad lives in Irkutsk, Russia. He produces clever designs on a variety of subjects – from inanimate objects to stylized animals and people. The next design is by one of our newer artists, Kate McRostie, and it is called “Fresh Picked.” Kate lives in Wilmington, North Carolina and gets her inspiration from people and things around her. “Fresh Picked” is reminiscent of the upholstery on an old fashioned chair, or perhaps decorative wallpaper. The third and final design I want to share this week is called “Infinity” by David April. David is a software developer who produces fractal and photographic art. “Infinity” has multiple layers that give it an almost 3-D look. Next week I’ll share some of our designs that will get you in the mood for the Halloween season. Have a good week, everyone! And with this introduction I hand the pen over to Bill from DecalGirl…. Not too long ago, in a galaxy close to home, there was a young, recently married couple who both loved cars and who had an idea: “Let’s make full color decals for cars!” they said. After buying the printing equipment they needed, they set about creating and marketing their designs, and DecalGirl was born. As the car decal business gathered steam and began to turn a profit, they realized that their idea could be applied to other items as well, and they began to offer removable full color printed “skins” for electronic devices. Jump ahead to 2011. DecalGirl has grown from a basement operation with a staff of 2 to a company that employs over 30 people and operates out of a 19,000 square foot facility near the booming metropolis of Milton, Delaware. (I made the “booming metropolis” part up. 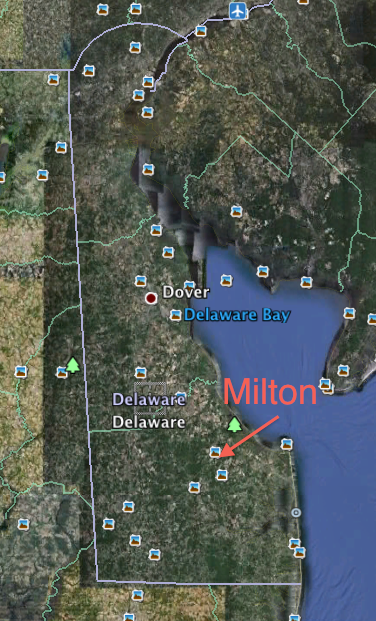 Milton is a quiet little town of about 2500 near the Delaware beach resorts.) DecalGirl products are 100% produced onsite in the United States from top quality materials, and feature some of the lowest prices in the skin industry. DecalGirl offers skins featuring the artwork of over 80 artists from around the world; everything from the SoCal surf culture inspired art of Chuck Trunks to the nature art of Antonia Neshev, and everything in between. New designs are added every week, so there is always something fresh to choose from. DecalGirl currently offers over 2200 designs. DecalGirl was the first and original company to develop removable, residue free full color skins to adhere to both small and large personal electronic devices. As the years have passed and devices have changed, DecalGirl has kept up with the times, regularly adding skins for new devices as they become available. A bonus feature of DecalGirl skins is free wallpaper. If your device has a screen that supports it, you can download a free wallpaper file that matches your skin. When you visit the DecalGirl site, you will find a variety of ways to shop for skins for your device. You can browse what’s currently available for your device, or if you don’t see something you like, you can shop by design, where you can see all the available designs for all supported devices. If you have a favorite artist, you can also shop by viewing that artist’s gallery page. Here’s the beauty of shopping at DecalGirl.com. Suppose you see a skin that you like, but it’s not listed on the page for your device. DecalGirl will create a skin for you with that design, so you are never limited to the skins that are displayed on the page for a particular device. Custom skins take an extra day or two to produce, but it’s well worth the wait to get exactly the skin that you want. All skins offer the option of a standard high-gloss coating, or a matte/satin finish. (The matte/satin finish is slightly higher in price.) You can also customize your skin by adding text, or by having the color adjusted for an additional fee. Over the next few weeks we are going to share some information about DecalGirl skins on this blog. We’ll take a look at a variety of designs, profile some of our artists and share their work with you, and help you find skins for your Kindle or other devices. Most importantly, we’ll give you a weekly chance to win a free DecalGirl skin! Click on the photos here for a preview of a couple of our Kindle skins. Let’s face it, who doesn’t want a free Kindle DX? I certainly do. They’re not ideal for everything, but for some reason they just strike me as cool and they would certainly be better for PDF display than anything else I’ve got handy at the moment. Feeling similarly? Check out Lemondrop.com‘s giveaway page. They’re giving away a single Kindle DX eReader to a random eligible giveaway recipient sometime after June 9th. To be eligible, you must live legally in the United States(Sadly this does not include Puerto Rico) or Canada(Also excluding Quebec, I’m afraid), be at least 18 years old, enter the contest no more than once, and get your entry into the site before midnight on June 9th. It takes less than a minute to enter the contest, so there’s really no downside to worry about. And hey, anybody who wants to give away something this cool deserves to be talked about a bit, in my opinion. I wish you all much luck and may the best…well, random-est I suppose…person win! As always, we’ll be keeping an eye out for any similar contests or opportunities that might arise to meet the needs of all the eReading enthusiasts out there.